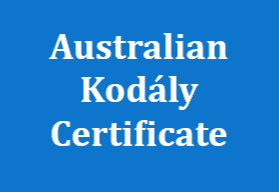 The Australian Kodály Journal and Previous National Publications and International Kodály Bulletin are significant sources of academic literature relevant to Australian Kodály-inspired research and practice. Below are further references to significant research and texts relevant to the Australian Kodály movement. If you would like to suggest a reference for the list, please contact the Webmaster. Ban, L. G. (1977). Problems and solutions in adapting the Kodály Method for use in Australia. (Master of Arts (Honours) Dissertation), University of Sydney, University of Sydney. Bridges, D. (1980). Outcomes of a Developmental Music Program. Bulletin of the Kodály Education Institute of Australia, 5(1), 7. Cuskelly, J. (2006). The search for meaning in music education: Reflections on difference and practice. (Doctor of Philosophy Dissertation), University of Queensland. Fromyhr, J. J. (2018). Lighting the Fire: Stories that Musicians Tell. (Doctor of Philosophy Thesis), University of Queensland. Goopy, J. (2013). ‘Extra-Musical Effects’ and Benefits of Programs Founded on the Kodály Philosophy. 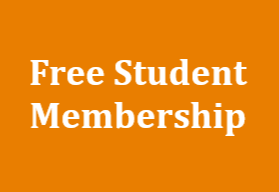 Australian Journal of Music Education(2), 71-78. Hoermann, D. B. (1973). The Teacher’s Manual for Marta Nemesszeghy’s Children’s Song Book. Brookvale, NSW: Owen Martin. Hoermann, D. B., & Herbert, G. F. (1979). Report and Evaluation: A Developmental Programme of Music Education for Primary School (Kodaly-based). Brookvale, NSW: Dominie. Meehan, S. (1996). 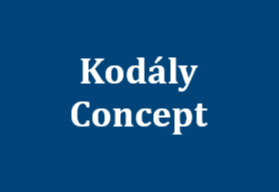 An Analysis and Comparison of three interpretations to the Kodály philosophy. (Masters of Arts (Music Education) Thesis), Monash University. O’Leary, M. (1986). Teaching the flute to young children using an approach based on the music educational principles of Zoltán Kodály. (Master of Music Thesis), The University of Melbourne. Wade, D. (1996). Approaches of Music Educators to Kodály-based Music Education in the Australian Context. (Master of Education Thesis), Deakin University. Wicks, D. (2014). Voices of learning: teacher knowledge, skill and development in secondary school singing. (Doctor of Philosophy Thesis), University of Sydney. Young, A. (2017). Teaching boys music in the first year of secondary school: Discerning and improving attitudes of young male students to singing and learning in classroom music. (Doctor of Philosophy Thesis), Griffith University, Brisbane, Queensland. Ádám, J. (1971). Growing in music with movable do (L. L. Boros, J. Held, & L. Munkachy, Trans. G. Peterson Ed. Vol. 1). New York, NY: Pannonius Central Service, Inc.
Barkóczi, I., & Pléh, C. (1977). Music Makes a Difference: The Effect of Kodály’s Musical Training on the Psychological Development of Elementary School Children (S. Steiner & C. Pléh, Trans.). Kecskemét, Hungary: Zoltán Kodály Pedagogical Institute of Music. Ittzés, M. (2006). Zoltán Kodály, In Retrospect. Kecskemét, Hungary: Zoltán Kodály Pedagogical Institute of Music. Kodály, Z. (1974). The Selected Writings of Zoltán Kodály (L. Halápy & F. Macnicol, Trans. F. Bónis Ed.). London: Boosey & Hawkes Music Publishers Ltd.
Kodály, Z. (2002). Music Should Belong to Everyone (I. H. Koscár Ed.). Budapest: TipoDraw Bt. Ribière-Raverlat, J. (1967). Musical Education in Hungary (M. Safranek, Trans.). Paris: Alphonse Leduc. Sándor, F. (1966). Musical Education in Hungary (B. Balogh, Z. Horn, & P. Járdányi, Trans.). London: Barrie and Rockliff. Szőnyi, E. (1966). Zoltán Kodály’s pedagogic activities: His musical creations for Youth. International Music Educator, March 1966(13), 3. Szőnyi, E. (1973). Kodály’s Principles in Practice: An Approach to Music Education through the Kodály Method. London: Boosey & Hawkes. Vajda, C. (1974). The Kodaly way to music: the method adapted for British schools. London: Boosey & Hawkes. Bacon, D. (1993). Hold fast to dreams: Writings inspired by Zoltán Kodály. Wellesley, Massachusetts: Kodály Center of America. Choksy, L. (1999). The Kodály Method I: Comprehensive Music Education (3rd ed.). Upper Saddle River, New Jersey: Prentice Hall. Choksy, L. (1999). The Kodály Method II: Folksong to Masterwork. Upper Saddle River, N.J: Prentice Hall. Houlahan, M., & Tacka, P. (1990). Sound Thinking: A Suggested Sequence for Teaching Musical Elements Based on the Philosophy of Zoltan Kodaly for a College Music Theory Course. Journal of Music Theory Pedagogy, 4(1). Houlahan, M., & Tacka, P. (1990). Sequential Order for the Preparation, Presentation, Practice and Evaluation of Rhythmic and Melodic Concepts. Journal of Music Theory Pedagogy, 4(2). Houlahan, M., & Tacka, P. (1998). Zoltán Kodály: A Guide to Research. New York: Garland Pub. Houlahan, M., & Tacka, P. (2008). Kodály Today: A Cognitive Approach to Elementary Music Education: Oxford University Press. Houlahan, M., & Tacka, P. (2011). From Sound to Symbol: Fundamentals of Music (2 ed. ): Oxford University Press. Klinger, R. (1991). A guide to lesson planning in a Kodály setting. Brisbane, Qld: Clayfield School of Music. Pozos, R. R. (1980). Evaluation Report : Kodály Music Program: Holy Names College and the San José Unified School District. Oakland CA, USA: Holy Names College. Tacka, P., & Houlahan, M. (1995). Sound thinking : developing musical literacy (Vol. 1). New York: Boosey & Hawkes. Tacka, P., & Houlahan, M. (1995). Sound thinking : developing musical literacy (Vol. 2). New York: Boosey & Hawkes.